Blouse by BOGNER. Pull-on style with short, concealed button front. 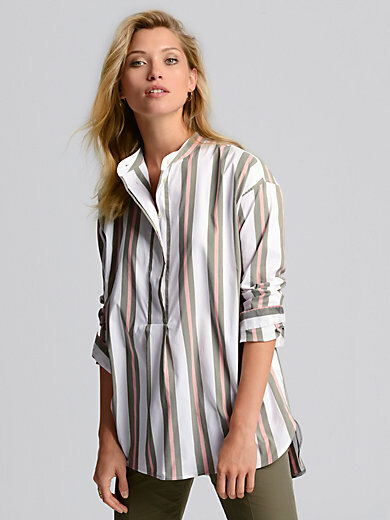 The cutting-edge stripe pattern gets because of the choice of colour a surprisingly feminine touch at BOGNER. Slightly longer, casual style with rounded hem, side vents and slightly longer back with logo on the yoke. 63% cotton, 37% polyester. Length approx. 31 ins. The blouse is machine washable.